Camping is an exciting outdoor recreational activity living inside a tent or lodging in a camp. People who are fond of camping leave their home or the city and spends a few nights outdoors. Camping involves the use of a tent, minivan, cabin, or outside the wilderness. It is a favorite summer activity, indeed. The lakes, streams, and rivers may look pristine and crystal clear, truth be told, it is not clean and it is never safe. A great deal of water pollution happens not from one single source but from many different scattered sources. The main contaminants are bacteria, protozoa, and viruses. Pathogens are known as a common water pollutant. Microorganisms in water are known to be causes of some very deadly diseases and become the breeding grounds for other creatures that act as carriers. The following products are considered the best backpacking water filter. Fear not, because the portable water filtration system is to the rescue. Among hundreds of water filter for outdoors in the market, we have shortlisted 8 of the most prominent systems which are suitable for traveling and outdoor activities. Here are summary of the 8 traveling water filter. + Features: 0.1 micron filter that removes 99.99% bacteria, E.coli and protozoa. + Features: 0.1 micron collapsable filter that removes 99.99% bacteria, E.coli and protozoa. + Features: 0.2 micron personal filter that removes 99.99% bacteria, E.coli and waterbourne parasites. + Features: Removes 99.99% viruses, bacteria, and protozoa. + Features: 0.2 micron filter that removes bacteria, protozoa, sediments and microorganism. + Features: Gravity-fed hollow fibre filter that removes bacteria, E.coli and protozoa. 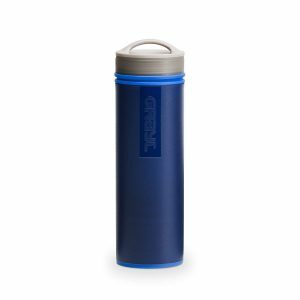 What Is The Best Backpacking Water Filter? Key Features: The Sawyer PointOne P131 is easy to use as it is portable and lightweight. It has the highest filtration on the market which is 99.9% that effectively removes bacteria such as Salmonella, Cholera, Leptospirosis, and E.coli, and protozoa such as Giardia and Cryptosporidium. It uses a 0.1 absolute micron hollow fiber membrane inline water filter. It weighs 3.2 ounces and flow rates vary depending on how clean the filter is and how well the filter was cleaned. 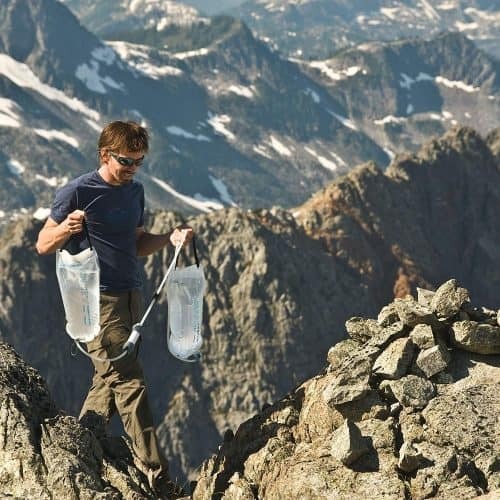 Altitude also affects the flow rates of portable water purifiers. Maintenance: The SP131 can be maintained by using the syringe filter cleaner, that is used to backflush the filter to promote a high-flow rate as well as longevity. It is claimed by the company that the filter can produce 1,000,000 gallons of filtered water if it was backflush properly. Check out the latest discount on Amazon, our recommended e-commerce store. Click on the button to check out why the customers love about this system. 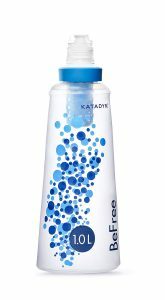 Key Features: The Katadyn BeFree Water Filler is undoubtedly simple and easy to clean. BeFree’s 0.1-micron water filter removes harmful organisms like bacteria and protozoa such as Giardia & Cryptosporidium. It weighs only 2.24 ounces with a flow rate up to 2L per minute. 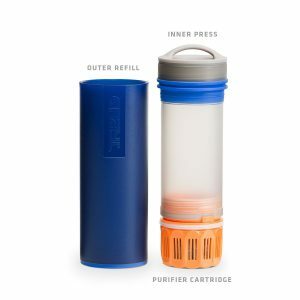 Squeezing this portable water filter bottle pushes water through the filter at a very high flow rate. BeFree is very lightweight and is considered as one of the best portable water filters and best camping water filter. It is appropriate for every adventure. Maintenance: It has the capacity up to 1,000 liters of contaminated water without using other chemicals. 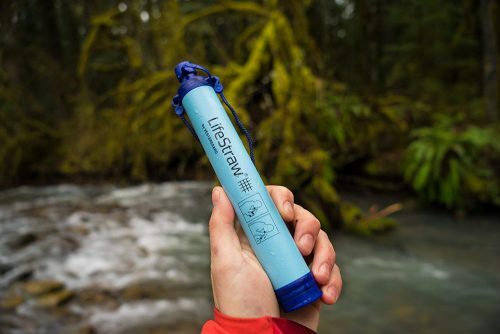 Key Features: The LifeStraw Personal uses a microfiltration membrane that removes 99.999999% of waterborne bacteria such as Escherichia coli, Campylobacter, Vibrio cholera, Pseudomonas aeruginosa, Shigella, and Salmonella, and 99.999% of waterborne parasites such as Giardia lamblia, Cryptosporidium parvum, and Entamoeba histolytica. Including the smallest microplastics found in the environment. A convenient water filter that only weighs 2 ounces yet features a high flow rate. Filters up to 4,000 liters or 1,000 gallons for an individual for more than five years. It also reduces turbidity down to 0.2 microns. 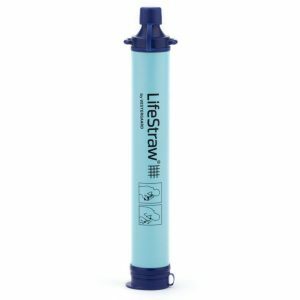 Maintenance: LifeStraw Personal filters up to 4,000 liters or 1,000 gallons. However, it will no longer be able to draw water through the filter once it has reached its capacity. – Slightly difficult to use according to few users. 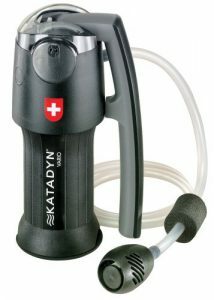 Key Features: The Katadyn Vario is a hiking and camping water filter that has a ceramic disc that lengthens the life of microfilter, 0.2 Micron high surface area pleated glass-fiber microfilter which removes waterborne bacteria. 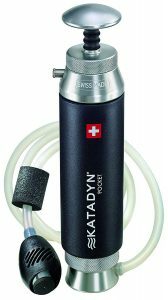 Katadyn Vario Microfilter is part of the backcountry series filter line for reduction of bacteria such as Klebsiella terrigena and protozoan cysts such as Giardia and Cryptosporidium. It weighs 15 ounces and the flow rate is up to two quarts per minute in the faster flow mode and one quart per minute in longer life mode. Highly recommended by people and is considered the best camping water filter. Maintenance: Katadyn Vario filters up to 1875 liters or 500 gallons. The flow rate is 2L per minute and the filter typically becomes ineffective after six months. Key Features: The GRAYL Ultralight is a one press purification and filtration. 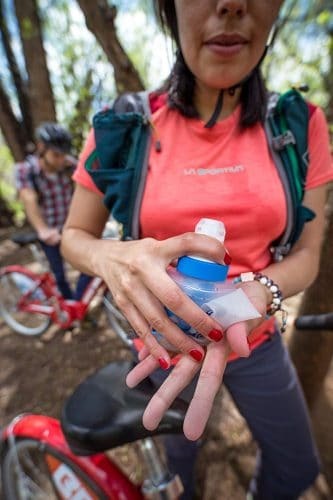 This portable water purifier has a patented Filtration Media- three filtration technologies in one for added protection. Removes pathogen and 99.9999% of viruses such as Hepatitis A, SARS, Rotavirus, and 99.9999% of disease-causing bacteria such as E. coli, Salmonella, and 99.999% of protozoan cysts like Giardia. It weighs 10.9 ounces and 15 seconds per 16 ounces flow rate. GRAYL is accompanied by a ten-year warranty. 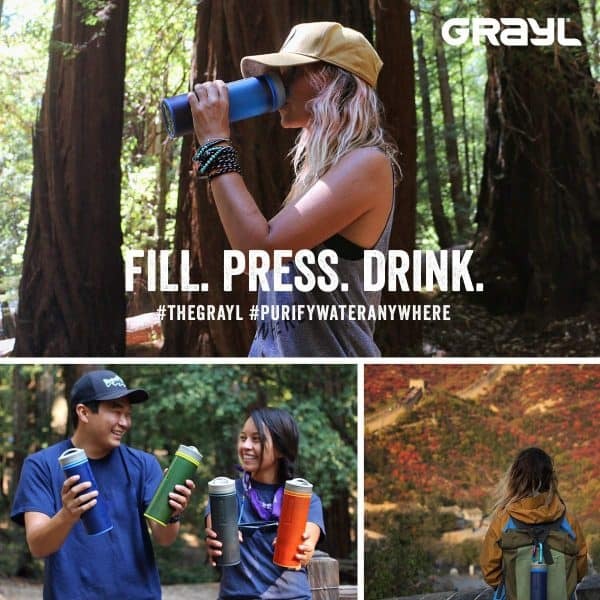 Maintenance: GRAYL Ultralight filters up to 150 liters or 40 gallons for over three months. The lifespan of the Purifier Cartridge varies with the quality of the water source. High levels of silt or sediment will shorten the lifespan of the cartridge. – Can freeze due to the weather. Key Features: The Sawyer Mini gives a high performance 0.1 Micron absolute hollow fiber membrane inline filter. Removes 99.99999% of all bacteria, such as Salmonella, Cholera, and E.coli; removes 99.9999% of all protozoa, such as Giardia and Cryptosporidium. It weighs only 2 ounces and the flow rate is relatively quick but clogs up easily. Anyone can now sip from a personal drinking straw and drink directly from the source, or bottled water directly from any freshwater lake, river, or stream which makes it the best portable water filter. 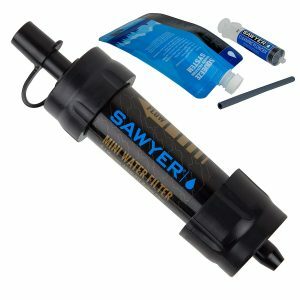 Maintenance: Sawyer Mini filters up to 100,000 gallons and offers a limited lifetime warranty only. Key Features: The Katadyn Pocket is redesigned but still uses a Micro-Filtration method. It removes bacteria, cysts and parasites larger than 0.2 microns, including protozoa such as Giardia and Cryptosporidia. Sediment, particles, and microorganisms that are found in streams or fresh water sources are filtered. It weighs 20 ounces but filters up to 50,000 liters or 13,000 gallons. Up to 1 quart or 1 liter per minute cartridge capacity, depending on water quality. It is under a 20-year warranty, too. Maintenance: The Katadyn Pocket uses a syringe filter cleaner, promotes high-flow rate as well as longevity. The filter or purifier membrane may never need to be replaced. 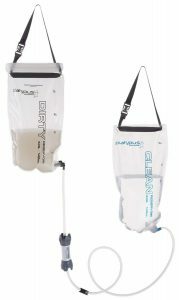 Key Features: The Platypus GravityWorks offers a great 4.0 capacity system for filtering and dispensing water for groups. Gravity water filter or travel indeed. Through Hollow Fiber Technology, these filters are made of hundreds of hollow fibers bundled into a single filter. Water flows through the walls of these fibers, leaving impurities behind. Platypus GravityWorks removes bacteria and protozoa, including Giardia, Cryptosporidium, E.coli, Salmonella, and Cholera. Truly one of the top rated backpacking water purifier. It weighs 11 ounces and a flow rate of 1. 75 liters per minute. Maintenance: System includes two 4-liter reservoirs, 1 for unfiltered water and 1 for clean water; reservoirs have hang loops for easy in-camp use. 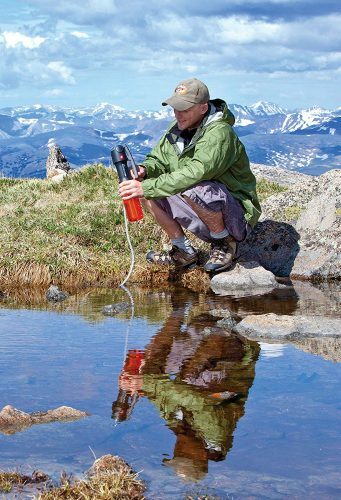 A backpacking water filter is essential for long outdoor adventures. Invest in a water filter system by carefully understanding how each backpacking water system works. Here are some of the 6 ways which can be used to pick a great backpacking water filter. Identify The Purpose Or Contaminants To Filter. What is the usage of this filter? Backpacking, traveling, camping, hiking? What is the water source? Is it from the tap or streams in remote areas? Does bacteria presents in the water source? Personal Or Group Usage. This determines the size of the filtration system. Some systems are great for personal consumption which filters on the go and it is not suitable for group usage. Lifespan Of The Filter. Generally speaking, the shorter the lifespan, the higher the cost to maintain it. An ideal case is to look for a longer lifespan filter which yields higher output of filtered water at a lower cost. Budget Constraint. While it is great to own a great quality backpacking filter, but the maintenance cost needs to be considered as part of your budget. Purchase what is affordable and upgrade when it is necessary. Portability and Weight. Backpacking and camping require traveling as light as possible. Hence, portability and lightweight is crucial when it comes to picking your own camping water filter. Customer Reviews. Existing customers are your source of reference when it comes to purchasing a product online. They provide you the hidden information that wasn’t shown in the sales pitch. Getting a filtration system for camping will help to cut down any potential danger from the water source that you are drinking. 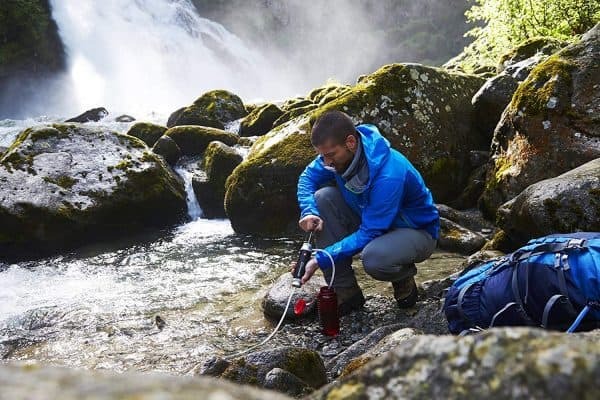 Start investing in one of the 8 best backpacking water filter now to keep yourselves protected.